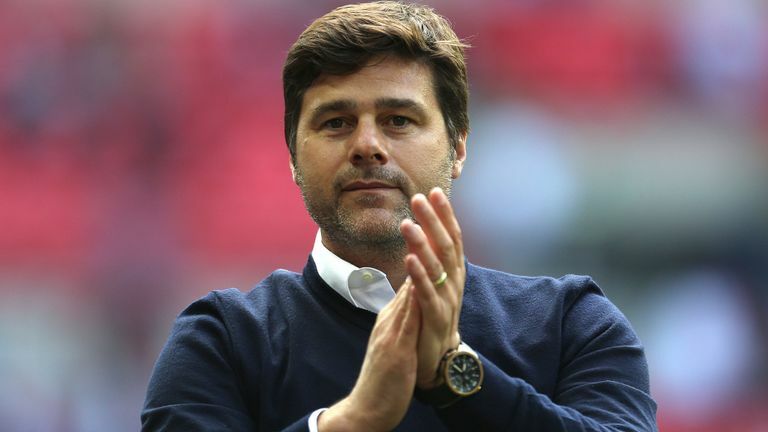 Tottenham manager Mauricio Pochettino and his coaching staff have signed new contracts until 2023. The Argentine has guided Spurs to three successive top-three finishes in the Premier League, winning 121 of his 218 games since taking charge in May 2014. Pochettino had three years remaining on his current contract but agreed to a two-year extension, as did first-team coaches Jesús Pérez, Miguel D'Agostino and Toni Jimenez. "I am honoured to have signed a new long-term contract as we approach one of the most significant periods in the club's history and be the manager that will lead this team into our new world-class stadium," said the 46-year-old. "This is just one of the factors that makes this one of the most exciting jobs in world football and we are already making plans to ensure we continue to build on the great work that everyone has contributed to over the past four years. "[Chairman] Daniel [Levy] and I have spoken at length about our aspirations for this football club. We both share the same philosophies to achieve long-term, sustainable success. "This is a special club - we always strive to be creative in the way we work both on and off the pitch and will continue to stick to our principles in order to achieve the success this club deserves." Levy added: "We have been on an extraordinary journey and the times ahead look even more exciting as the club enters the next phase in its history. "Mauricio has fostered an incredible spirit in the team and has embraced a style of play our fans have loved watching. I know they will welcome this commitment by Mauricio."